The Royal Domain of Drottningholm, situated on the island of Lovön close to Stockholm, is an exceptionally well-preserved ensemble of gardens and buildings with original interior furnishings. It includes Drottningholm Palace, the Palace Theatre, the Chinese Pavilion, Canton Village, the gardens and part of Malmen, and has been used for pleasure and summer recreation from the Baroque era until today. As the current home of the Swedish Royal Family, Drottningholm upholds a cultural continuity with the original purpose of the site. Drottningholm Palace is representative of 17th and 18th century western and northern European architecture, and the palace grounds were also created during that period. The palace was created with strong references to 17th century Italian and French architecture. The interiors reflect Sweden’s ambitions as one of the most powerful nations of 17th century Europe, from both cultural and political viewpoints. Leading Swedish architects worked together with the best craftspeople in Europe to create a unique ensemble of buildings with rich and lavish interiors. The Palace Theatre is the only surviving 18th century theatre where the original machinery is still regularly used and the original stage sets are preserved. The sophisticated stage machinery, built by Georg Fröman according to drawings prepared by Christian Gottorp Reuss, is still fully intact, permitting quick changes of scene with the curtain up. A unique collection of stage sets, the dressing rooms, the storerooms, the scenery, and the large auditorium, seating 400 spectators, are preserved. Historical opera productions performed at the theatre are often staged and accompanied by music performed on authentic period instruments by the Drottningholm Theatre Orchestra. The Chinese Pavilion with its incomparable combination of architecture, interior decoration and collections is preserved and is a symbol of 18th century contacts between Europe and Asia. Together with Canton Village, which includes former buildings for manufacture and living quarters for members of the royal court, this ensemble of buildings gives a comprehensive picture of court life during this era, with touches of influences from distant places. The gardens were created during different periods and show both continuity and changes in fashion over time. The French formal garden, the rococo garden and the ideal landscape garden are preserved side by side. The French formal garden holds the world’s largest collection of sculptures by Adriaen de Vries. Malmen is an adjoining 18th century residential area for courtiers and officials of the royal court as well as a site for various palace offices. Malmen was granted a town charter in the late 18th century. The buildings in this area still partly retain their original functions, and their facades are important features of this historical setting. The surrounding area has been part of the Crown Estate since the 16th century. The character of the landscape is a result of the way it has been used and farmed to support the Crown’s need of supplies and to uphold the King’s household. This continuous use and the way it is and has been managed over the years is still visible in the landscape. Criterion (iv): The ensemble of Drottningholm is the best example of a royal residence built in the 18th century in Sweden and is representative of all European architecture of that period, heir to the influences exerted by the Chateau of Versailles on the construction of royal residences in western, central and northern Europe. No significant changes have been made to this World Heritage property since the time of inscription. The unique whole that existed then is still present and maintains all the necessary attributes to convey the Outstanding Universal Value of the property. The Drottningholm Palace, the Palace Theatre, the Chinese Pavilion, and the gardens remain intact and represent a royal domain with important elements of 17th and 18th century Swedish and European history. The Royal Domain of Drottningholm has been an intercultural meeting place for centuries, from the time of its construction by architects and workers of different nationalities to the theatre activities and tourism of today. For centuries, the Drottningholm area has been used for pleasure and summer recreation. Theatre performances and the interest shown by visitors to Drottningholm both maintain this tradition and its function as the home of the Swedish Royal Family. The historical setting, with the Drottningholm Palace, the Palace Theatre, the Chinese Pavilion, the gardens and the facades of Malmen’s buildings, is intact in form and material from the 17th and 18th centuries. The primary guidelines for this property focus on conservation and not restoration, and on maintaining the original forms, the original materials, and the designed landscape. The most important Swedish legislation safeguarding the buildings and gardens of this World Heritage property is the Ordinance for State-owned Listed Buildings. The Swedish National Heritage Board, the County Administrative Board of Stockholm and Ekerö Municipality are the national, regional and local authorities responsible for granting permits for alterations to the World Heritage property and for managing the different protection zones. When Drottningholm was inscribed on the World Heritage List the boundaries of the area corresponded with the area it was given as a State-owned Listed Building in 1935. In 2014 the area of the State-owned Listed Building was extended. The current area of the inscribed property is 162.429 ha. Three main stakeholders operate within the Drottningholm World Heritage property: the National Property Board, the Drottningholm Palace administration and the Drottningholm Palace Theatre. They work together in long-standing continuous cooperation. 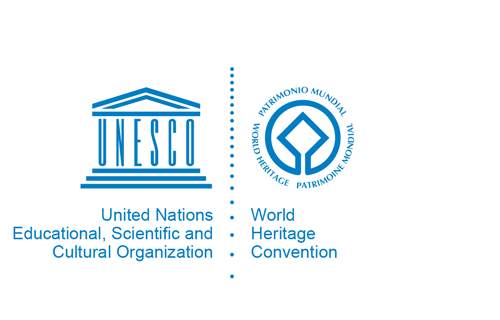 A management plan for the World Heritage property was adopted in 2007 by these three stakeholders. A buffer zone has been proposed where the boundaries coincide with the Nature reserve at Lovön, which was established at the end of 2015. The area of the Nature reserve will strengthen the level of protection for the area. Current developments in the infrastructure of Greater Stockholm will affect the Drottningholm area in the future. Road 261 passed through the World Heritage property long before Drottningholm’s nomination, but the traffic situation has changed significantly. Preliminary assessments indicate that adverse impacts, defined as functional, visual and noise disturbances during the construction of the Stockholm Bypass and Ekerö Road extension, are expected to affect to different degrees the attributes of the property, as well as create permanent visual changes in the pastoral landscape when the road is completed. Given these conclusions, all involved parties will aim to limit the negative impacts and work to identify new possibilities and solutions for improved accessibility to the area in conjunction with the developments related to the ongoing Stockholm Bypass and Ekerö Road extension project. The parties will also consider the Heritage Impact Assessment which has been done in connection with the infrastructure projects. The recommendations and the results of this assessment will assist in identifying potential courses of action to maintain the attributes of the property, its authenticity, and its integrity.